Disappointed by a sudden shift of the House of Representatives Primaries after hours of waiting to vote, some Delegates of the All Progressives Congress (APC) were yesterday fearlessly harsh on the party leadership. At the Pankshin Youth Centre, venue of the Plateau State APC Chairman, Latep Dabang's own Pankshin/Kanke/Kanam Federal Constituency Primaries, the delegates were uncontrollably mad as announcement for the postponement came at about 9pm local time. Many of them used unprintable words to describe the party while querying the late announcement of the change. The State party Chairman, Mr. Dabang along with other officials and contestants had to profusely beg for understanding which was not forthcoming. The main concern for many was the repeated shifts and the fact that many of them came from far distances and had no places to sleep in the host town. On Monday, the APC shifted the Senatorial primary elections nationwide. The Reps primaries shift is believed to have implications for other primaries such as House of Assembly and Presidential, given the deadline for the completion of these by the Independent National Electoral Commission (INEC) which is Monday October 7, 2018. The State Party Chairman had however explained that the change became necessary as directed by the National leadership of the party, following its inability to communicate the lists of screened candidates to states. "We are pained by this decision as it affects everybody, the delegates, the aspirants and even we the officials," Mr. Dabang said. He however appealed that the decision was in the best interest of the party, given the need for polls to be conducted, involving only certified qualified candidates. Commenting on the decision, one of the aspirants for the PKK constituency seat, Hon. Yusuf Gagdi said it would have been more painful if the primaries were conducted only to be cancelled or challenged in court later. 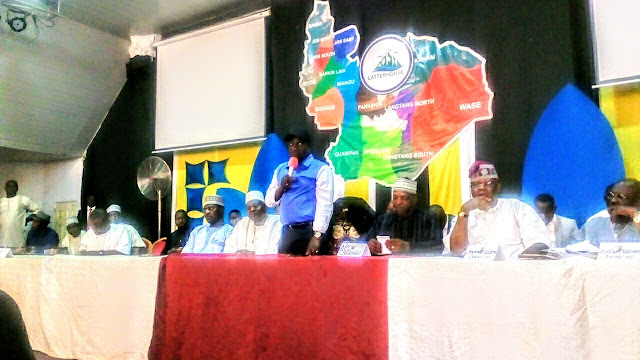 He appealed to delegates to be patient while appreciating their support and understanding. The House of Reps Primaries are expected to hold today nationwide.